The Fort Lauderdale Real Estate Market has certainly been through a correction that has left some great values to be had, East Point Towers in on of those great values in Fort Lauderdale Condos. As the Fort Lauderdale Real Estate market starts to recover , properties such as East Point Tower with a solid history, and a location that can't be beat will lead the Fort Lauderdale Condo Market recovery. 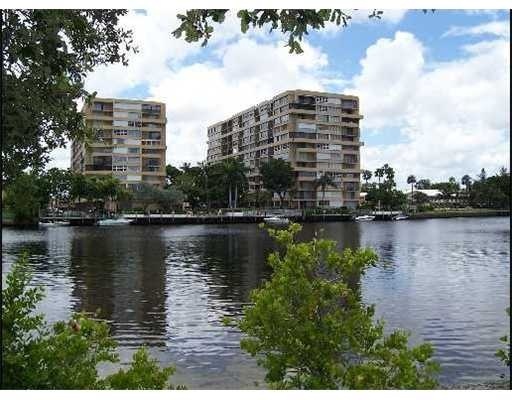 Read more about the Middle River front East Point Tower Condos in Fort Lauderdale, Florida. East Point Towers sits at the south End of US1 at it turn into Sunrise Boulevard. Just seconds from great shopping, night life, and some of our favorite Fort Lauderdale Restaurants. East Point Towers are two buildings sitting right on the Middle River, containing 274 Condominiums. The condominium units at East Point Towers are larger than we usually find in the Fort Lauderdale Real Estate Market with some two bedroom units in excess of 1900 sq. feet. A beautiful river front pool area, with docks for smaller boats, as well as quick access to the Galleria Mall and the Beach make East Point Towers a great place to call home. At Eric Miller and Associates, "We're here to help" with your next East Point Towers Condominium purchase or sale. Contact us directly at (954) 383-8170.